Hello Windows Users, We come back with new another error fix article and that is Windows Update Error 80070103. If You can’t update Windows System due to Error 80070103 then You are at Right Place. Here we are going to share best detail tutorial regarding How to Fix Windows Update Error 80070103. If You are facing the same issue On Your system then check out full detail article and then Try Below different methods. When You are going for Windows Update Then You can’t update Your Windows System and Getting display error message like “Windows update ran into a problem” and You can’t update Your windows System. The error caused by Incomplete Windows Update drivers or Update outdated drivers. So let’s check out below different methods for fix this error. So Now We are going to share a Various method to fix Windows Update Error 80070103 Which You are getting during Windows Update. If You can’t update Your Windows System then You have to check out this tutorial for error solution. So Let’s see below for more update. 1) Firstly Open Windows Setting Option By Press Windows Key + I and click on Update & security. 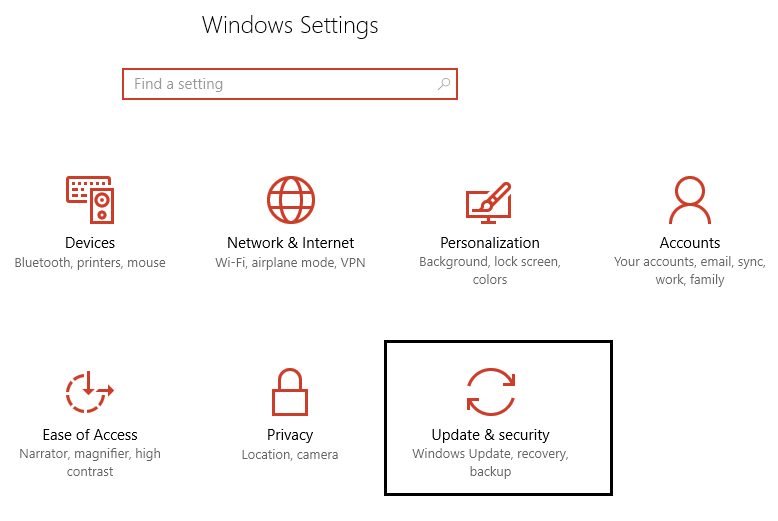 2) Now Select Windows Update then click on View installed update history. 3) Now Check out All files and note down which Update fails to install. 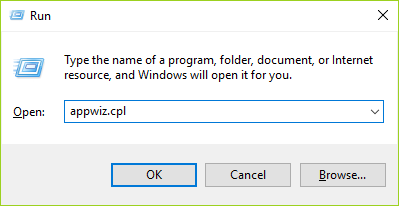 4) If You can’t find anything then press Windows Key + R then type appwiz.cpl and hit Enter. 5) Then Choose View installed updates and check for the update which fails. 6) Now Find “RUN” in Windows Search Bar and type devmgmt.msc and Enter button. 7) Now Expand Network Adapter Option and right-click on That Fail driver Update. 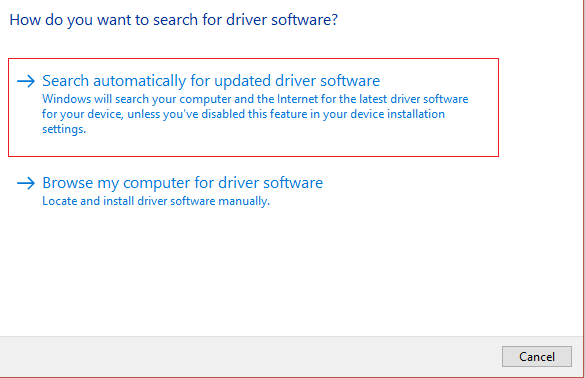 8) Now Choose “Search automatically for updated driver software” Option and Install Automatically All new Drivers. 9) Now Reboot Your Computer for Save Changes and Check the error will be fixed or not. 1) First Open RUN and Type devmgmt.msc and Enter Button. 2) Now Expand Network Adapter Option and Right Click On That Driver and Uninstall it. 3) In Next page, select Delete the driver software for this device and click OK.
4) Then Restart Your Computer and it will be automatically installed the default drivers. 1) First Right Click On Start Menu and Click On Command Prompt (Admin). 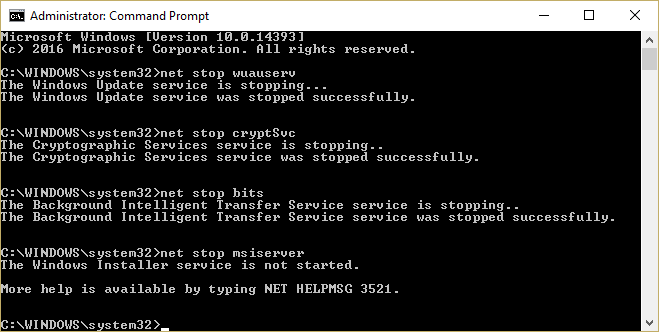 2) Now Type the following command for Stop Windows Update services and Enter button after each command. 3) In Next Page, Type the following command to rename SoftwareDistribution Folder and then Enter button. 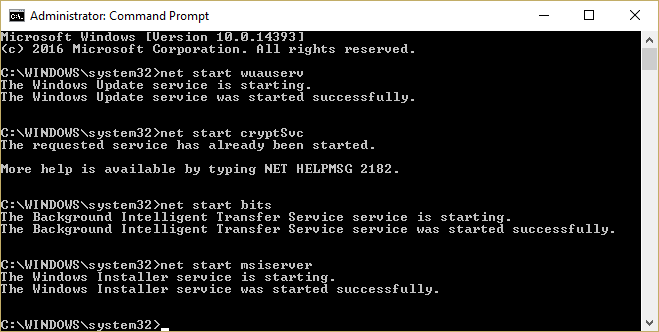 4) Then Type the following command for start Windows Update services and Tap Enter button. 5) Now Reboot Your Computer for Save Changes. Then Check out Your error solved or not. After trying All above steps, Still, You are getting error 80070103 Then Try to downloading latest Update drivers from Their manufacturer’s website and Install it. You can fix this error using this method. Because of mostly error caused by drivers and You are facing Windows Update error. So Download latest update drivers from Official Website and Install it. Finally, We Share Different Methods to Fix windows update error 80070103. If You have any method then Share with error facing the user and help them to fix this error. If You are satisfied with all these methods then Comment us below in comment section and Share with your friends and family Member on social media.